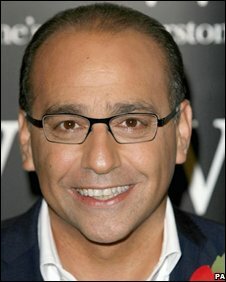 Mr Paphitis is among a number of parties interested in Woolies. Dragons' Den entrepreneur Theo Paphitis is among several potential bidders for Woolworths, the BBC has learned. Deloitte, Woolworths' administrator, said there had been "substantial interest" in the firm. Mr Paphitis is believed to be working on a plan to rescue some of the chain's most profitable stores and preserve the Woolworths brand. Ardeshir Naghshineh, Woolworths' largest shareholder, is also reported to be preparing a bid. A Deloitte spokesman said there had been talks with a number of parties on Friday and these would resume on Monday. However the BBC has learned that no deal is likely to be announced immediately and it is unlikely that any one buyer would take control of the entire business. Around 10 potential bidders have expressed interest in substantial parts of Woolworths' operations and many more parties have registered interest in smaller parts of the company or individual stores, he added. A rescue mechanism for UK companies in severe trouble. It allows them to continue as a going concern, under supervision, effectively to try to trade out of difficulty. The BBC's business correspondent Joe Lynam confirmed Mr Paphitis had registered his interest in the company. He said: "Deloitte are up against the clock to secure deals, with many suppliers already refusing to deliver to Woolworths." Mr Paphitis has revived the fortunes of several companies, including stationers Ryman and Partners and the La Senza lingerie chain. Mr Naghshineh, a property developer who owns London's Centrepoint building, is putting together a deal team and financing package, according to the Independent on Sunday. Supermarkets Sainsbury's, Asda, Tesco and the Co-op and discount chain Poundland are also thought to want to pick up some of Woolworths' prime stores. Woolworths' retail and wholesale operations went into administration on Wednesday, putting the jobs of 30,000 staff at risk. In addition to 815 stores and four distribution centres, Woolworths owns Entertainment UK, which distributes DVDs to supermarket groups and other retailers. The company and BBC Worldwide are joint shareholders in a distribution venture called 2 Entertain Ltd.
Mr Lynam said it looked "increasingly likely" that BBC Worldwide would buy Woolworths' 40% share in that particular business. The stores will remain open until after Christmas; however the company's website -www.woolworths.co.uk - has been suspended and is no longer accepting orders.